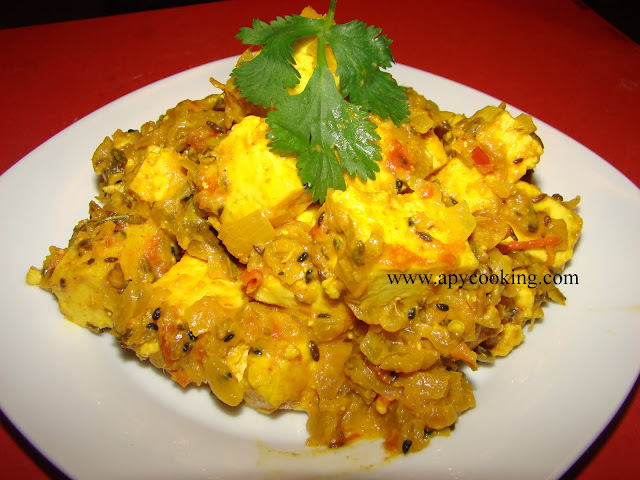 Apy Cooking: Paneer Achari by Him! My dear husband made Paneer Achari for me last night. It was definitely yummy! He referred to the Mushroom Achari recipe and made some changes - he added some garam masala and mint leaves. It was a welcome addition (and definitely a welcome change from the routine), and the dish was happily lapped up by a beaming me! Looks absolutely delicious.. Yummy !!! sooper dooper dish..have fun dear..